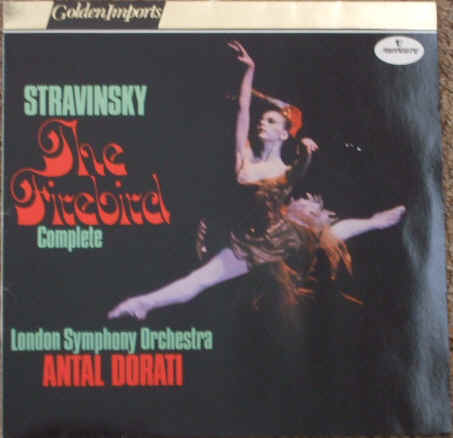 33rpm LP Record (Complete ballet), featuring the London Symphony Orchestra conducted by Antal Dorati. Stereo Mercury Golden Imports label. Holland pressing. 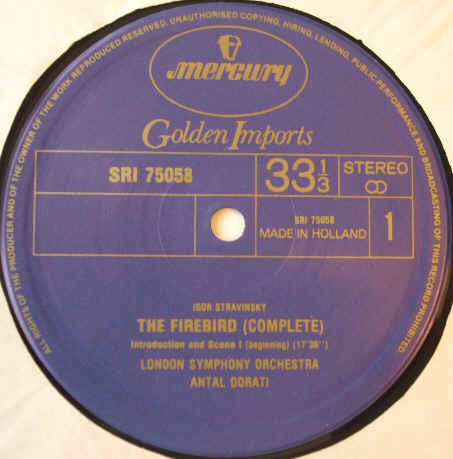 33rpm LP Record of Stravinsky THE FIREBIRD (Complete), featuring the London Symphony Orchestra conducted by Antal Dorati. 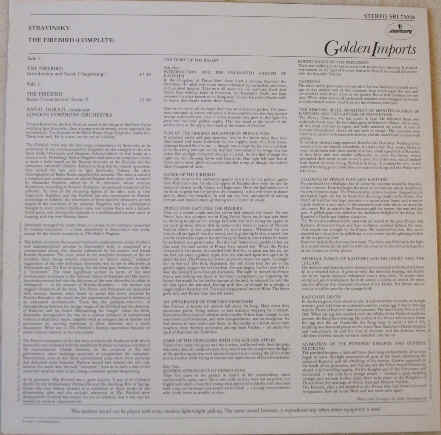 It was issued on the Stereo Mercury Golden Imports label. Holland pressing. Catalogue number: SRI 75058. The record itself is graded excellent, with no visible surface marks when viewed under normal house lighting. Play-tested on a USB turntable. Superb sound quality, with NO jumps, ticks or crackle and just an occasional dust pop. Otherwise more or less faultless playback. The outer sleeve is graded a bit less than excellent, with some light wear (light bumping to corners, faint ringwear). The spine is intact and strong with no loss to the lettering. The inner sleeve has no wear to speak of.